I finished my spring classes! YES! I’m super happy to be enjoying a small break before the summer session, even if I have been kinda sick the entire time (*cough* thanks, Mom *cough*). I’m relieved to be finished with my biology class, because my professor wasn’t particularly nice. At all. Currently, all unfriendly and unpleasant professors I’ve had have been women, which is a disheartening trend to observe. I’m hopeful that my experiences have been based on chance and aren’t an accurate representation of my future time in the workplace. 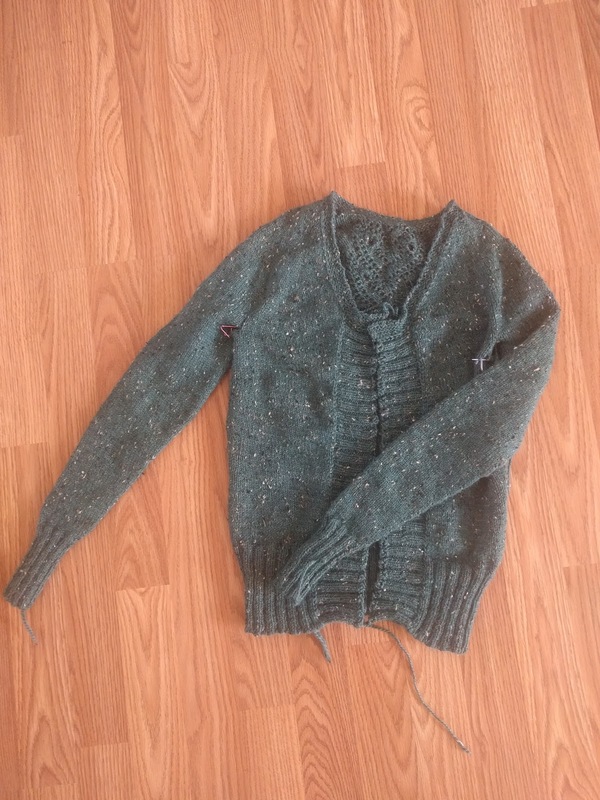 I’ve essentially finished the Ginny Cardigan, lacking only buttons, pockets, and seams, but I haven’t felt any inclination to do anything with it, so it’s been set aside for a bit. I occasionally look at it and think, “Oh, I should work on that,” but then I go and make scones with coffee or something. Speaking of coffee, I have gotten into this terrible habit of making a cup, taking one glorious sip, and then leaving it on the table for five hours while I work on other things. WHY DO I DO THIS?!? I like coffee. Oh, crap. I just realized I’m continuing the habit right now as I type, because my coffee is still on the other side of the room. One second, I’m going to go get it. Okay, everything’s good now. Crisis averted! 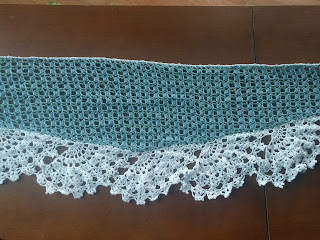 Remember that gorgeous lace crocheted shawl that I started working on back when I was a fetus? No?? Oh. 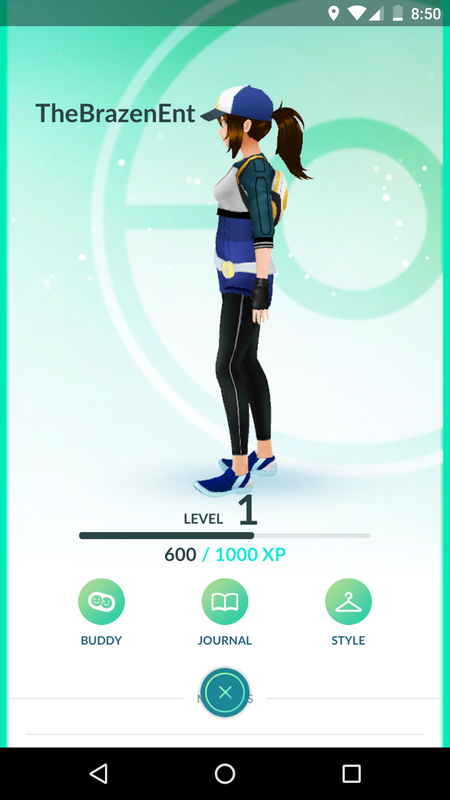 Well, I COMPLETED IT! I’m actually very happy that I made it, because I was using an ivory hook from Grandmother, and I wanted it to continue being used to create things, rather than being locked away in a box somewhere. 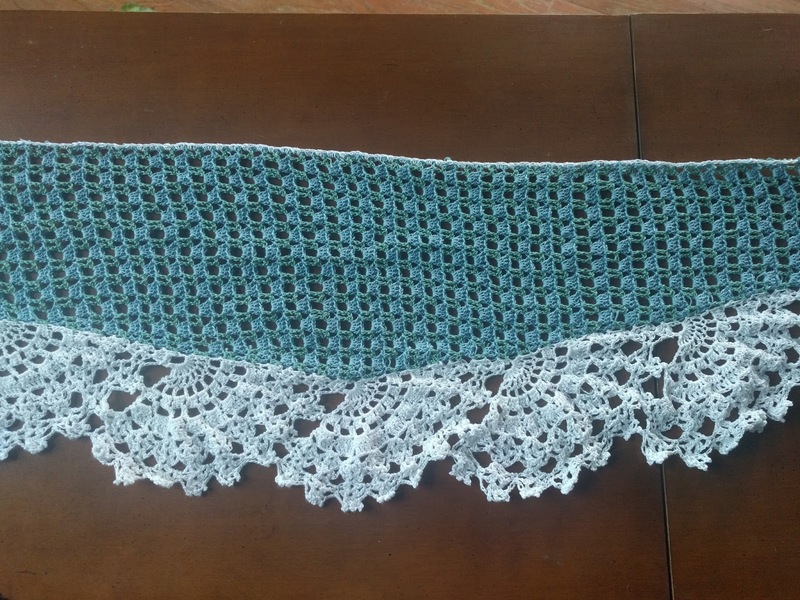 I made a sort-of impulse buy (sort-of, in that it was only vaguely premeditated) on Friday, and I got a blanket’s worth of Bernat Blanket Yarn (blanket pattern here). It’s not for me, and I have to finish it before my first summer class begins on the 30th, so I’m not sure why I thought making it was such a brilliant idea! Thankfully, I’m good at meeting deadlines, and if I somehow don’t, I can always use a later date, although it wouldn’t be as smashingly impressive. 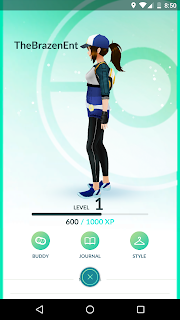 I also joined the Pokemon Go crowd this week and made a character. I’m pretty pleased, and I can see why the game became such a widespread success! Hello again, you lovely people. It’s been nearly 5 months since my last post. First of all, how did that happen?? Second, it’s finals week and… Yeah, that’s how. I did vend another booth, and this time I shared the space with Dewberry Creek Farms. I’ve also been keeping up with my knitting; very slowly, but I’m still making progress. Like I said, it’s basically done! I love the curious looks that I get whenever I take out my knitting or crocheting in a public place. 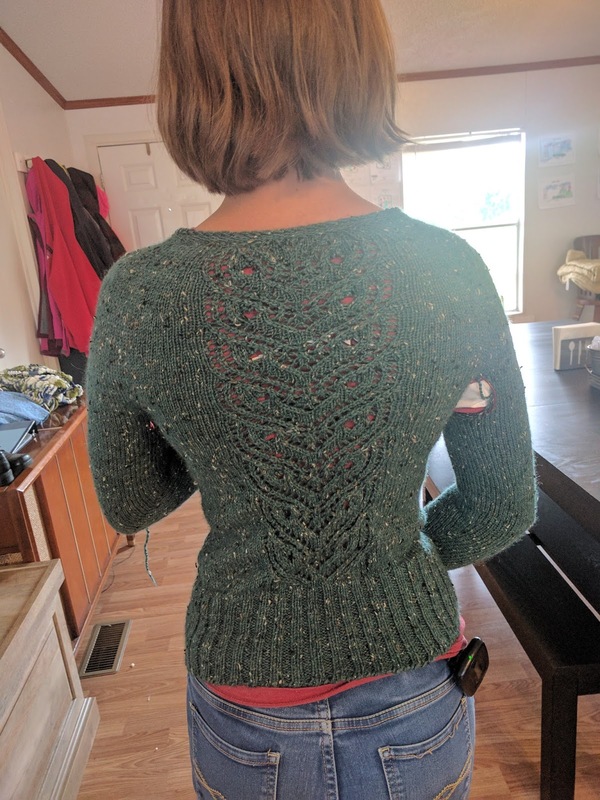 It’s so fun, because it gives me an excuse to get something done while I’m also being marked ‘present’ and possibly introducing the idea that maybe knitting isn’t just for old ladies. The conversations that have begun in my classes just because I’ve gotten out my needles have been wonderful to observe, and my psychology professor even used my craft as an example in his lecture. Maybe this weekend, as I pretend to study, I’ll be able to finish the cardigan and start on something new. I’ve been thinking of picking up sewing again; I even bought a few (read: way too many) patterns to practice on.